This creamy cauliflower leek soup is so quick and easy to make, you can whip up any night of the week! It’s the perfect light soup if you want to have this as a first course, and leftovers are perfect for lunch. More of my favorite creamy soups include Cream of Asparagus Leek Soup with Creme Fraiche, Cream of Zucchini Soup, and Cream of Carrot Ginger Soup. 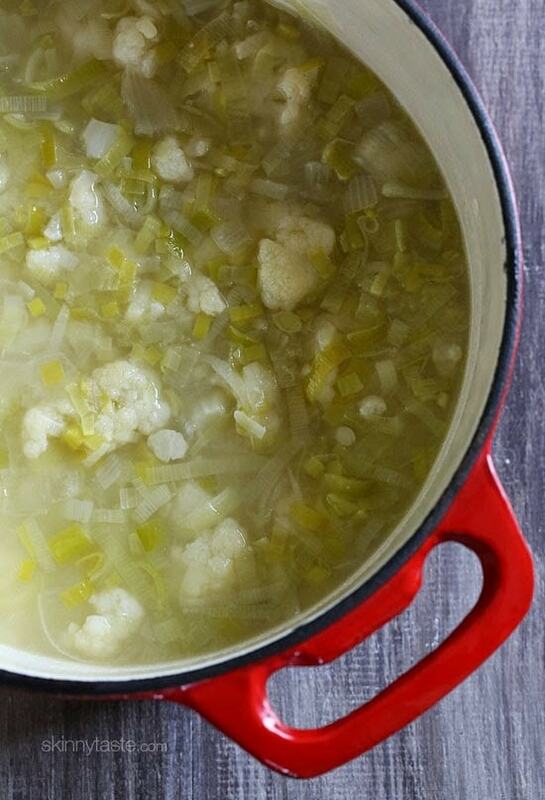 I love cooking with leeks, they have a sweet, delicate flavor which is perfect for this soup. 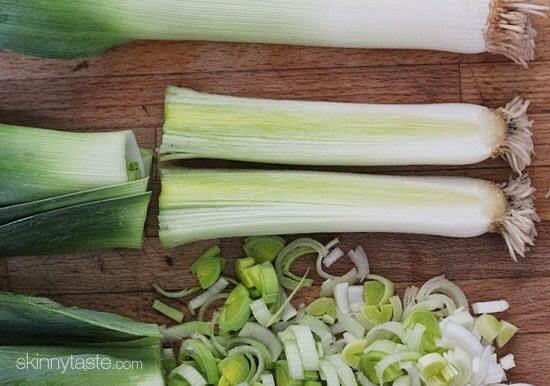 Before using leeks, it is essential to wash them well, as dirt usually collects between the layers. 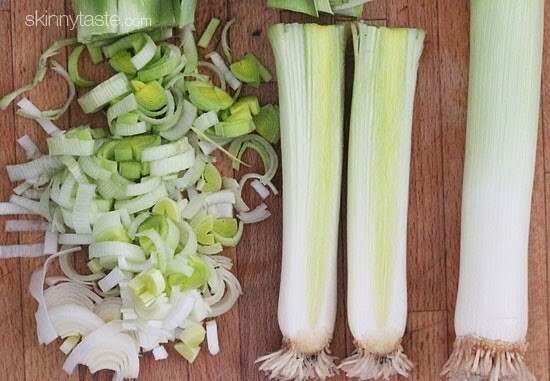 When using leeks, you’ll want to use the white and light green parts, I cut them right where the color changes to darker green. Wash leeks very carefully to remove all grit. I usually cut them horizontally and separate the rings to make sure no dirt remains. Coarsely chop them when washed. Using a wooden spoon, stir and cook 1 to 2 minutes. Add broth, leeks, and cauliflower and bring to a boil. Cover and simmer on low for about 20 minutes, until cauliflower is soft. 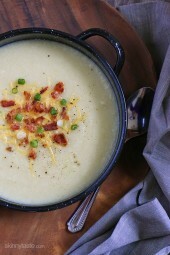 Using an immersion blender, blend the soup until smooth adjusting the salt and pepper to taste.